I am finding that I have a small emotional problem with labeling some of the photos Guatemalan photos. It is both bad, and good to label a person. The people are probably more product to be Cakchiquel, than Guatemala, but proud to be both, not that simple. 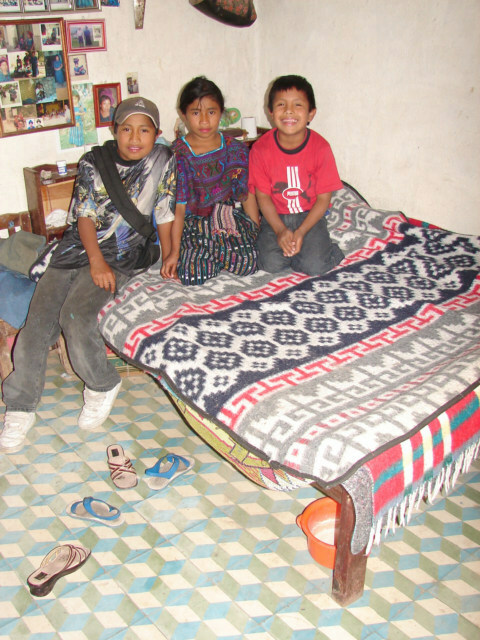 I went to a home in Santa Catarina here in Guatemala, very close to Panajachel or Lago Atitlan. Two children took me there, and I wish, I can go there and I believe rent a room. The people speak the language of Cakchiquel, and sort of broken Spanish. In South America, you have maybe 10-15 Million people that speak the language of Quechua or Quichua. This is not a minor amount of persons; this is a country of persons. Here in the area of Pana there are many person that speak Cakchiquel, it is my impression that 90 percent of the person in this city of Panajachel Speak Cakchiquel and then speak Spanish to do business. It is similar to the idea in the world that for Airlines, Travel, or Business the language is required to be English. Not that simple, however more or less correct. So I did not go to a Guatemala persons home that spoke Spanish, I went to a home or race of people that are defined, different, and unique in customs and behaviors that the Spanish speaking persons, maybe called Mestizos however the common identifier is the language of Cakchiquel then there are sub-identifiers of clothing. 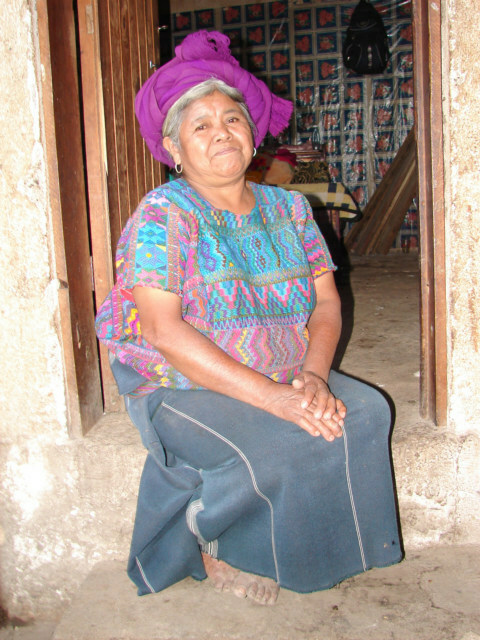 This woman lives in the village of Santa Catarina; she has on one of the shirts, blouse or tops that identify her as being from this village. This is a simplified explanation, a culture or race is defined in on many strata. This is the three Banditos that brought me to the home, the Juan, Rosa and unknown name. The two are brother and sister and the other mother died, and the man went to Pana to live with another women, I think maybe leaving the boy. This is the precious however learning to be not so precious Rosa; she was in photos I took before. She is also having the name of Manuela; however, she likes to be called Rosa. They wanted my cell number; the one sister has a cell telephone. Therefore, I called the number of the sister, Rosa then ran off with this phone up the hill, over the steps and to find the sister. Of course talking on the phone the whole time. 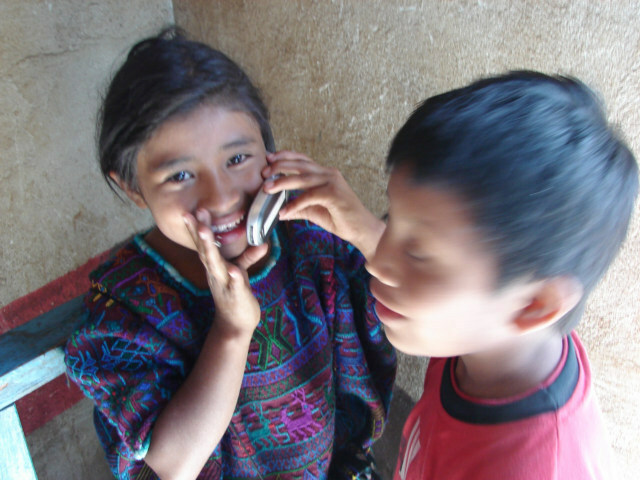 The Cakchiquel people are fully aware of cell phones, many have cell phones, I was just allowing a young girl to play on a cell phone, it was not her first encounter with a cell phone by a long shot. She is also wanting and I paid 30 Quetzals for School, I have yet and am very suspect of this, they say they go to a private school where they need to pay 30 Quetzals per week. This is complicated; you cannot just call a person a liar. These children have learned many shortcuts because the travelers and tourist put words in their mouth. The just need to agree and boom, the money flows; therefore, they learn to be semi-beggars or manipulators of the situation. This is the bed where I may or may not sleep, I do not want to live in a place where I get 24 hour a day questions. Worst is they having 24 hours a day desire and ask me to purchase things for them. They wanted three Coca Colas, and then the woman pulls three one-liter bottles out of the fridge. Not my idea of what I was going to do. 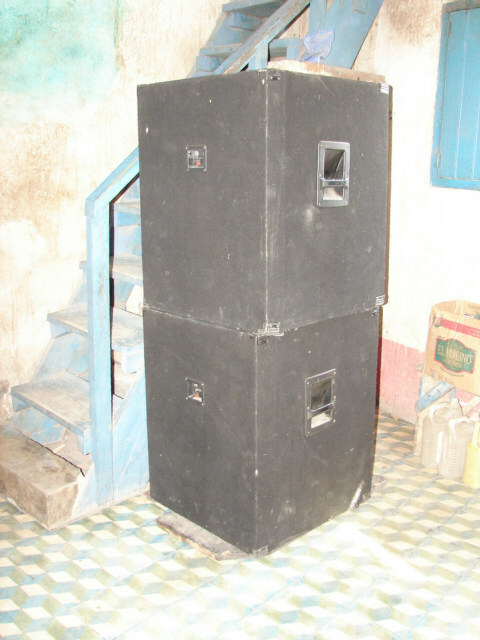 These are very large speakers for music, in their home. Many people misinterpret the home as being very poor when really it is very normal. This family is not poor; they do not have the possessions of an American or Europe family. The view out their window is from half way up the mountain. It is a view a person pays for. I am asking myself, why do the Mestizos rich kids live in Guatemala with a crime rate that is difficult and the poor or so-called poor live here in Paradise. 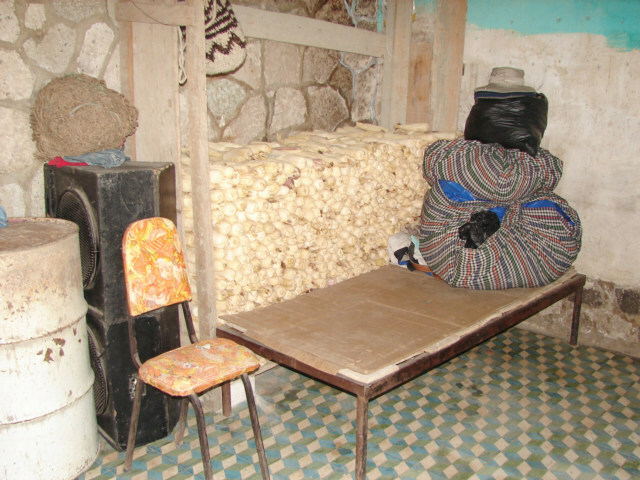 The Guatamatecas come from the Guatemala and Xela to vacation here on the weekends, and the local live here where when they Guatematecans get rich, they will try to buy a home.